Business/Office Space. 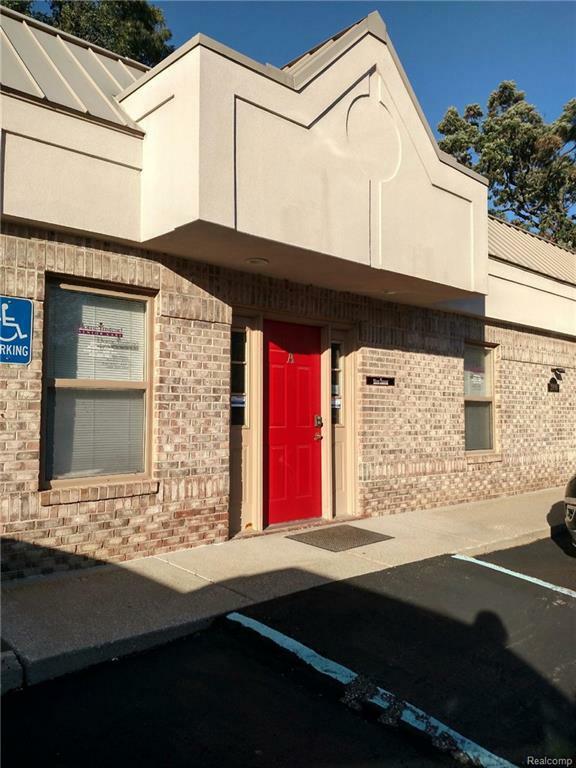 Attractive, well maintained office space with parking. Furnished reception area, five furnished offices, kitchen with newer appliances, full bath and nice storage closet. CAD 5 and phone to every office w/ATT & Comcast available. Whole office gas generator, keypad entry, alarm system. Reception: 14'8"X9' Office 1: 12'X9' Office 2: 12'X8' Office 3: 12'X8' Office 4: 9'X7' Office 5: 9'X7' Kitchen: 15X8'4" Full bath: 10'X6' Storage 12'X7'6" One sign space at street for unit. Licensed Michigan agent must be present at all showings. $50 a month maintenance fee.